Three Australian teachers have been named in the top 50 finalists for the Varkey Foundation Global Teacher Prize for 2018. The US $1 million prize, now in its fourth year, recognises one exceptional teacher who has made an outstanding contribution to the profession as well as to shine a spotlight on the important role teachers play in society. The three teachers from Australia were selected from over 30 000 nominations from 173 countries around the world. Here we take a closer look at the finalists. Having devoted over 20 years to working in remote Indigenous education in Western Australia, Wilbur Klein has had a unique career as a teacher and school leader. His current post as Principal at Tjuntjuntjara Remote Community School has him working in perhaps the most remote school in Australia. In his community, Klein has established a unique structure of four extended teaching days in the classroom and one day a week learning externally in the bush with the community via a school-community education agreement. The program has four essential pillars: learning, engaging, culture and language. Not only does this program connect the school with the community, but it also enables students to learn in two entirely different ways. The first allows them to learn academically in terms of developing language and science and mathematics skills. The second highlights the importance of exploring culture and identity at the same time. His approach to education in this remote Aboriginal community has assisted in Australia’s reconciliation process and has contributed to the success of Indigenous learners. 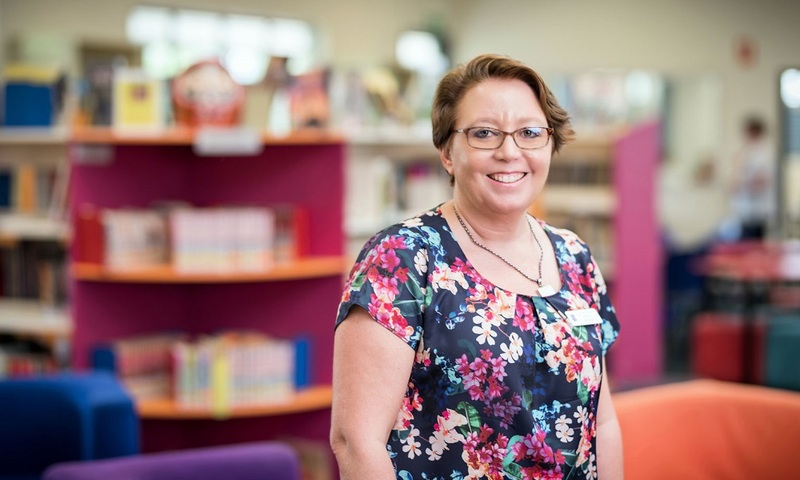 When Sarah Mathews recognised that there was a critical teacher shortage in the area of high school Maths and Science, she decided to leave behind her 17-year career as a scientist to become an educator. That was in 2008, and since then she has made a remarkable difference in her school community. Mathews analysed the school’s National Assessment Program – Literacy and Numeracy (NAPLAN) trends and found that many students had limited intuitive numeracy ability. As a result, she developed a program introducing the evidence-based practice of ‘numeracy moments’ – a program that enriches mathematical thinking by incorporating mathematics into real-life situations. This initiative was first launched in 2013 and has since proven to make a difference to her students’ problem-solving and reasoning skills and a significant improvement in the college’s NAPLAN numeracy results. Eddie Woo has a passion for sharing his expertise across Australia and beyond. To do this, he records his high school maths lessons by day and by night he posts the videos online via his YouTube channel and website. Wootube now has over 120,000 subscribers and due to his enthusiastic teaching style, Woo’s lessons have had over 4 million views. This has not only helped to offset the teaching shortage in maths, but it has also done much to popularise the subject for young people. On a more personal level, as a student himself Woo experienced racism and bullying due to the fact there were few children of Asian background in his suburban Sydney primary school in the early '90s. This has inspired him to help students in his own school setting. The top 10 finalists will be announced in February 2018. Then the winner will be announced live on stage in Dubai at the Global Education and Skills Forum (GESF) on Sunday 18 March next year. Visit www.globalteacherprize.org for more information about all of the 2018 finalists.